Birthdays are a big deal and a cause for celebration no matter what your age is! The ultimate celebration is a Disney World birthday vacation! 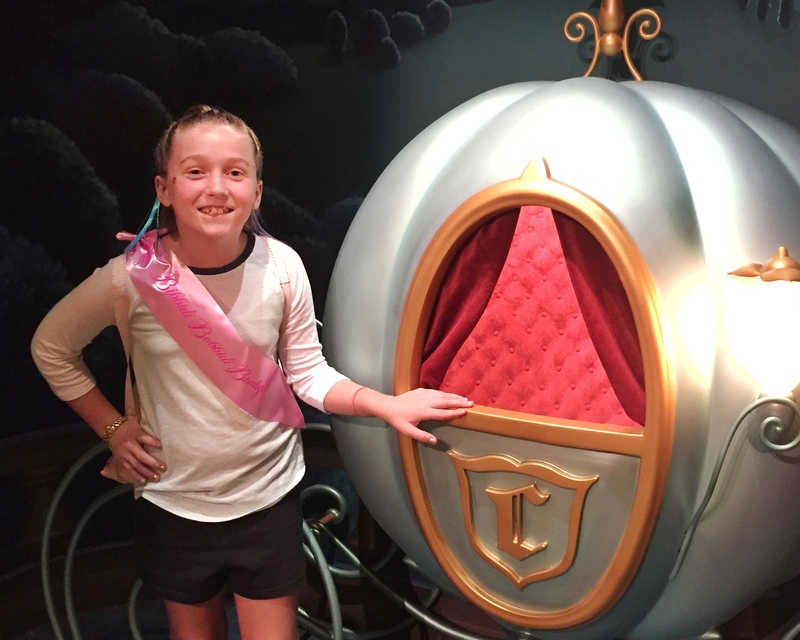 If you are thinking of planning a birthday trip for your child, here are a few ways to celebrate a birthday at Disney World. Your resort front desk or Guest Relations at any of the theme parks will provide you with a free birthday button for the guest of honor to wear during your vacation. All the other members of the party can pick up “I’m Celebrating” buttons to help mark the occasion. Your whole party can (and should) wear these buttons for the during of your visit. 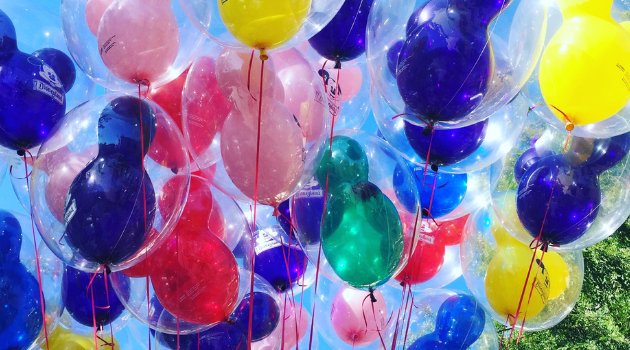 There’s no limit on the number of days you can celebrate your birthday at Disney! Wearing the buttons encourages Cast Members, and even other guests, to wish the birthday boy or girl “Happy Birthday!” Your party may also occasionally receive some additional “pixie dust” from Cast Members who want to go above and beyond. Of course, they can’t do something for everyone who’s celebrating, but you never know what might happen, so it’s worth a shot! For Hunter’s birthday one year, we headed to Disney’s Animal Kingdom for the Wild Africa Trek. We stopped by Guest Relations to get a Birthday Button and got an extra surprise. ? This is an easy way to celebrate a birthday at Disney World. 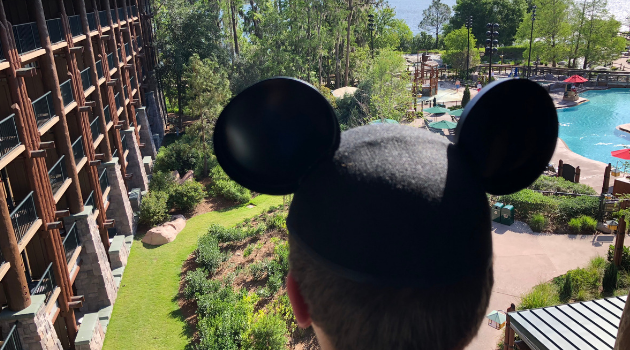 Similar to wearing your birthday button, you’ll want to have the celebration noted on your resort and dining reservation for a chance at receiving some special attention that can make your little one feel like a VIP! To add a celebration to an existing or new Walt Disney World Resort dining reservation, you must call a Disney dining specialist by dialing (407) WDW-DINE or (407) 939-3463. Remember to tell a Cast Member when you check in at the resort or restaurants as well. Many restaurants will do special things like sing to your child, give you an autographed photo or even a special, free dessert. Keep in mind that these extras are a possibility, not a guarantee. It’s probably best not to mention it to the child and let the surprises unfold as they may. For a special birthday experience, your child can get a pirate or princess makeover at The Pirates League or Bibbidi Bobbidi Boutique, respectively. The Pirates League offers packages of varying services and costs to make your child over into a Pirate, Pirate Princess or Mermaid with things like makeup “scars” and “beards,” bandanas, clip in hair pieces, sparkly makeup and nail polish, costumes and lots more. Kids will take a pirate oath before continuing their day or plundering in the parks. The Bibbidi Bobbidi Boutique offers royal princess and knight makeovers with hairstyling, makeup, gorgeous dresses, might swords and shields and many more options, which are presented by Fairy Godmothers in Training. The salons where these makeovers take place are beautifully decorated and are sure to make your little one feel like royalty! The Pirates League, call (407) WDW-CREW or (407) 939-2739. To book your appointment with a Fairy Godmother-in-Training at Bibbidi Bobbidi Boutique, call (407) WDW-STYLE or (407) 939-7895. Capping off your day at the parks with an array of delicious desserts and VIP viewing of the night’s spectacular is a great “extra” for celebrating a birthday! Disney World now offers several different dessert party options at the different parks. Dessert parties with specially-themed desserts are available for Happily Ever After at Magic Kingdom park, Fantasmic! and Star Wars: A Galactic Spectacular at Disney’s Hollywood Studios, Frozen Ever After for IllumiNations: Reflections of Earth at Epcot, and Rivers of Light at Disney’s Animal Kingdom theme park. You’ll leave with full bellies and happy hearts after munching tasty treats and enjoying a VIP view of the show. Here is our video from the Happily Ever After Dessert Party at Magic Kingdom. So amazing! This is another super fun way to celebrate a birthday at Disney World. Advanced online reservations are highly recommended as these events will fill up quickly. Walk-ins are welcome but based on availability. Book online or by calling (407) 939-3463. Another very special way to celebrate a birthday is taking a fireworks cruise! The Pirates and Pals Fireworks cruise is like a dessert party and VIP fireworks cruise all in one event. Your evening starts at Disney’s Contemporary Resort with a splendid spread of snacks and refreshing hot and cold beverages —which includes cookies, cupcakes, pretzels, chips, fruit and ice cream bars, coffee and Pirate Punch and more. Then, you take part in the pirate parade down to the dock where you board a private boat with your pirate guide and set off on an unforgettable voyage. You’ll drop anchor and watch Happily Ever After fireworks and the Electrical Water Pageant from an incredible viewing location on the water. A surprise guest will be waiting for you when you return to shore and guests celebrating a special birthday will also get special recognition—topping off an already packed voyage with even more swashbuckling satisfaction. Advance reservations are highly recommended and can be made up to 90 days prior to your visit. Same-day bookings—if available—are allowed up to one hour prior to the experience. Book online or call (407) WDW-DINE or (407) 939-3463. The Garden View Tea Room at Disney’s Grand Floridian offers a daily Afternoon Tea a collection of international teas—including Mrs. Potts Tea for your little ones—and a delightful selection of sandwiches, scones, pastries and other delicacies. A fancy tea party may be the perfect experience for your little prince or princess. But if you want to take it to another level, the Disney’s Perfectly Princess Tea may be what you are looking for. With this experience, Rose Petal,” a magical rose from Aurora’s garden, has come alive to host the party, leading a special princess parade, storytelling and sing-alongs. The event is so fancy, Princess Aurora herself makes an appearance! Everyone is encouraged to dress as their favorite Disney Princess, and young royals sip apple juice “tea” and feast on fruit, an assortment of sandwiches and Princess Cake. Meanwhile, adult Guests enjoy our signature blended and perfectly steeped tea, and dine upon a selection of cheeses, grapes, lavosh, and tea sandwiches that include egg salad and curry chicken salad. For additional cost, the young partygoers can receive gifts including a sash, tiara, fresh rose, silver bracelet, princess bag and an 18-inch Aurora doll with accessories, too! It’s quite an extravagant celebration! Reservations are highly recommended and can be made by calling (407) WDW-MYTEA or (407) 939-6983. For a special birthday surprise in your room, you can contact Disney Floral and Gifts to decorate and/or drop off a gift package for the birthday boy or girl. Imagine your child’s delight at the sight of an “In-Room Celebration,” prepared just for him or her by Mickey and the Gang, the Fairy Godmother or Captain Jack Sparrow. They will be so excited that the Disney characters set up the celebration themselves, as is evident from the delivery and details! When dining at a Disney-owned and operated table-service locations, you can order a Mickey shaped celebration cake to be delivered to your table as a surprise for the birthday guest. Not only are they absolutely adorable, but they taste great, too! The cakes are available in chocolate or white chocolate and feed around 4-6 Guests. These can be added to a new or existing dining reservation by calling 407-WDW-DINE. If the Mickey cake doesn’t suit your needs, you can have a completely custom cake designed and delivered to your table or resort room. Custom cakes can be made as large or small as desired and can include sculptures of Disney characters, special messages or whatever your heart desires. These cakes start from $75 plus tax and gratuity. Special dietary needs cakes are also available. You must call (407) 827-2253 at least 72 hours in advance for custom cakes. Imagine your child’s delight and surprise when a cake featuring their most favorite character is delivered to your table or resort room! Everyone loves to get birthday gifts, so who wouldn’t love a birthday shopping spree at Disney World! With themed shops in each land and even attraction-specific merchandise, you can treat your child to some birthday souvenirs to help them remember their favorite parts of their Disney celebration. And World of Disney at Disney Springs is the largest Disney store in the world, so it is certain to have something your child will love! Birthday themed hats, Mickey ears and Magic Bands are great ways to show everyone you are celebrating during your vacation, too! As you can see, there are many ways to add that extra special touch to a birthday celebration at Disney World. Which option would your child enjoy the most for his or her birthday?